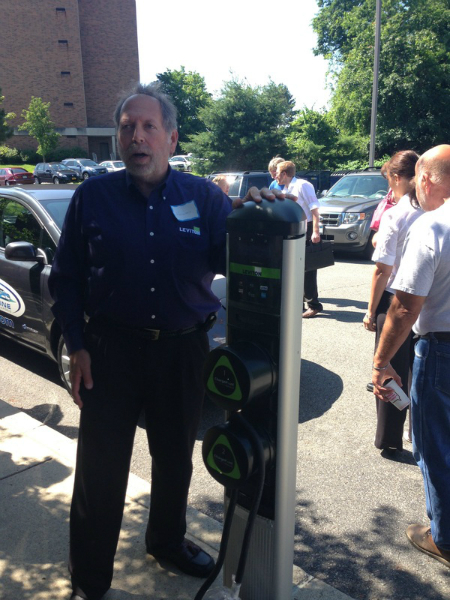 On June 19, 2013 Electricians, Inspectors, Building Code Officials and others gathered for a workshop about permitting, and installation of Electric Vehicle Supply Equipment (EVSE). The morning opened with a presentation from NYSERDA on the basics of Electric Vehicles (EVs). 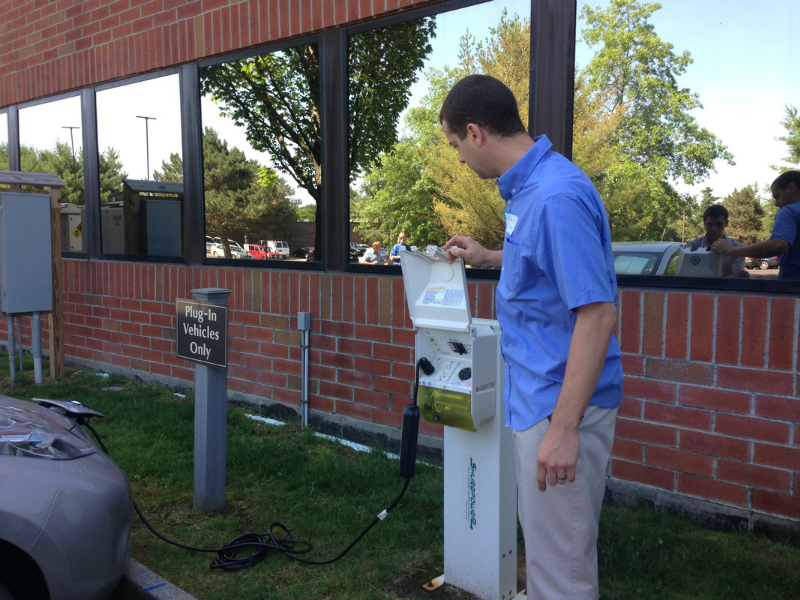 Then, our very own Clean Communities Coordinator presented on the different charging stations across the area. 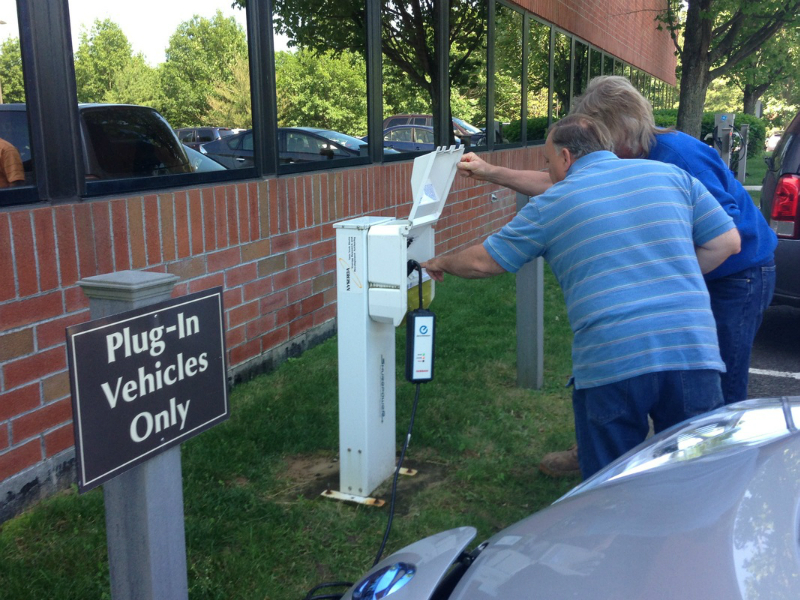 During break, as viewed in the photos, all participants got to view a Chevy Volt, a Nissan Leaf and various types of charging stations located at NYSERDA. 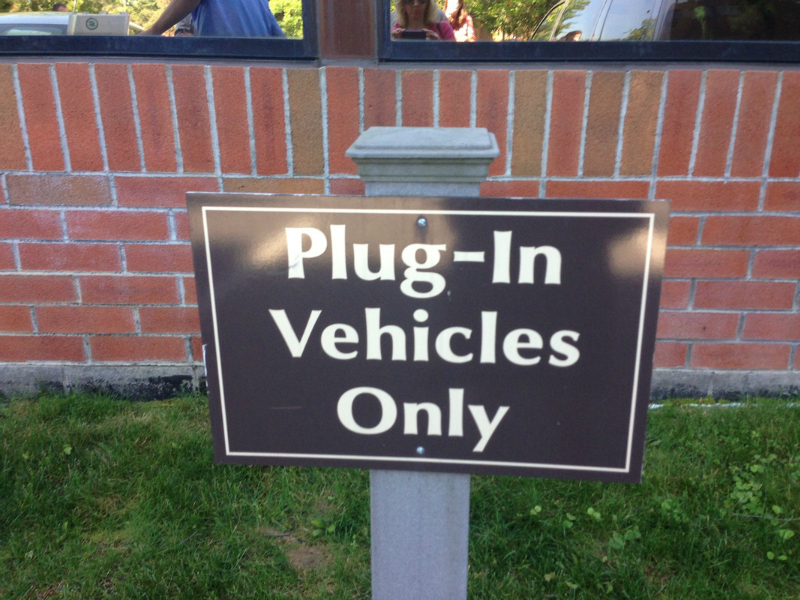 After break, an expert panel convened to discuss the benefits of, problems and solutions to EVSE installation and permitting. 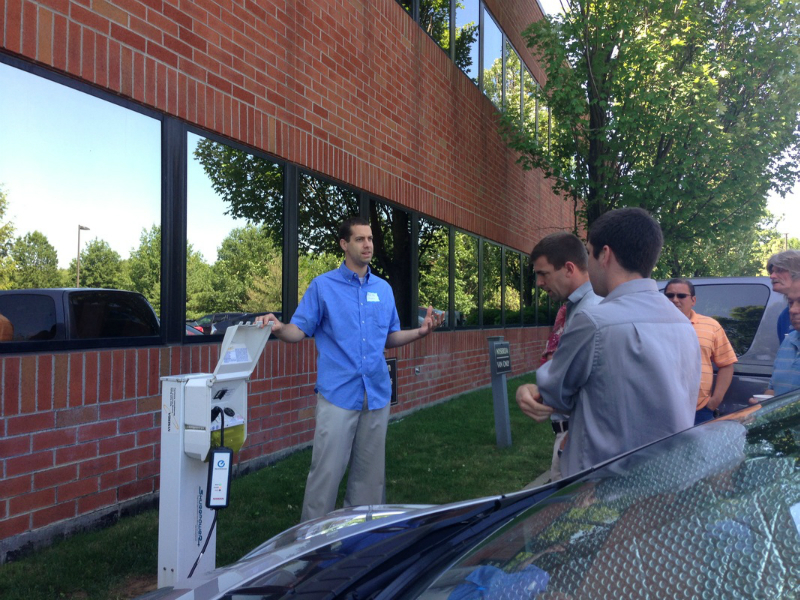 All the presentations and photos from the workshop can be viewed here. 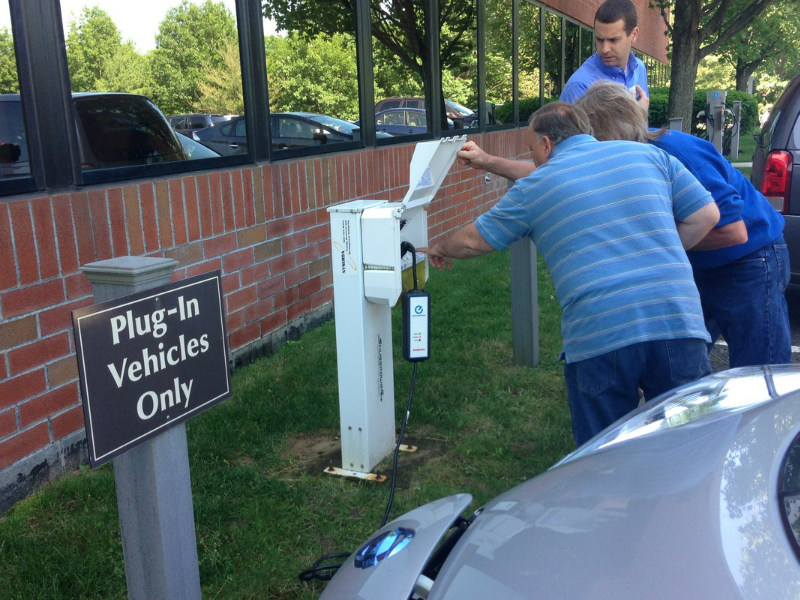 On June 20, 2013 planners gathered to help facilitate the deployment of electric vehicles and associated charging infrastructure. 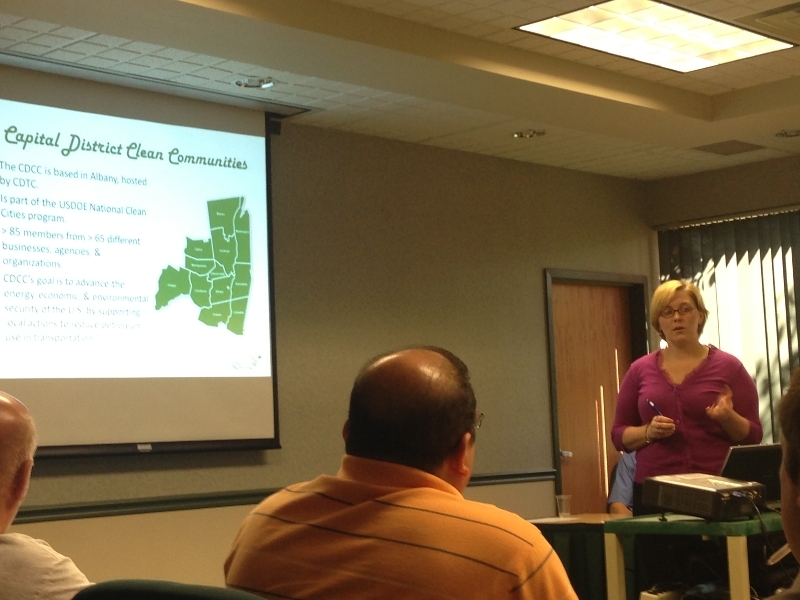 The workshop was part of the Capital District Regional Planning Commission’s (CDRPC) full-day Government Planning & Zoning Workshop. 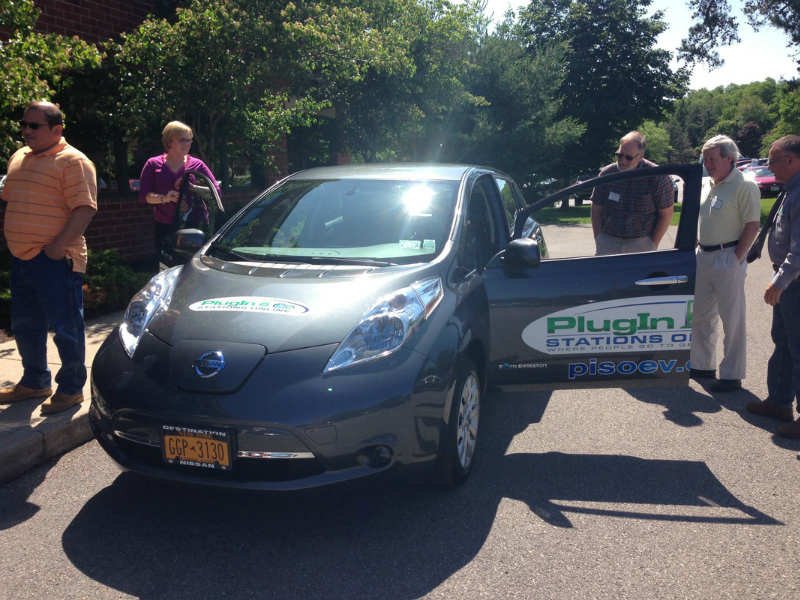 At the workshop, attendees learned about the current electric vehicle landscape in New York State and projects that will expand the use of electric vehicles. 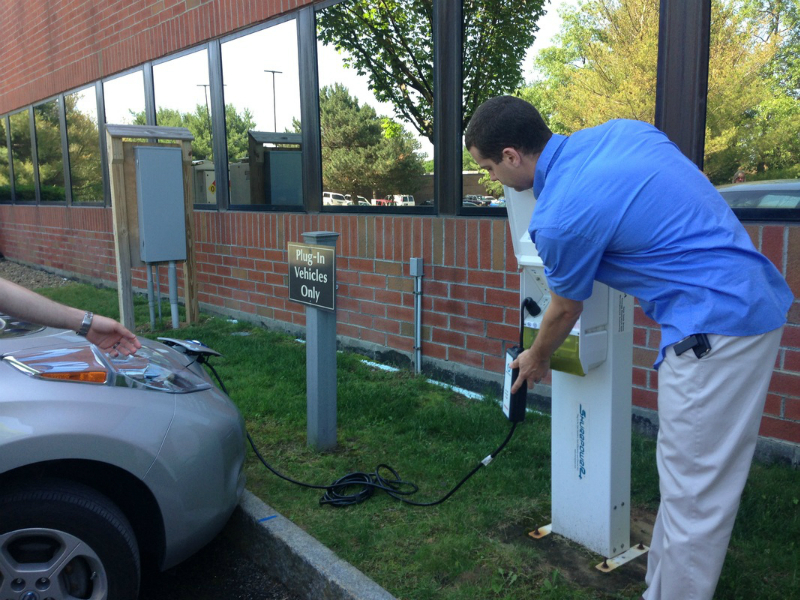 Attendees heard from NYSERDA, VHB, Albany Office of Energy & Sustainability and Capital District Clean Communities about what the best practices in EVSE permitting and design guidelines are and how other local municipalities can become EV-Ready. 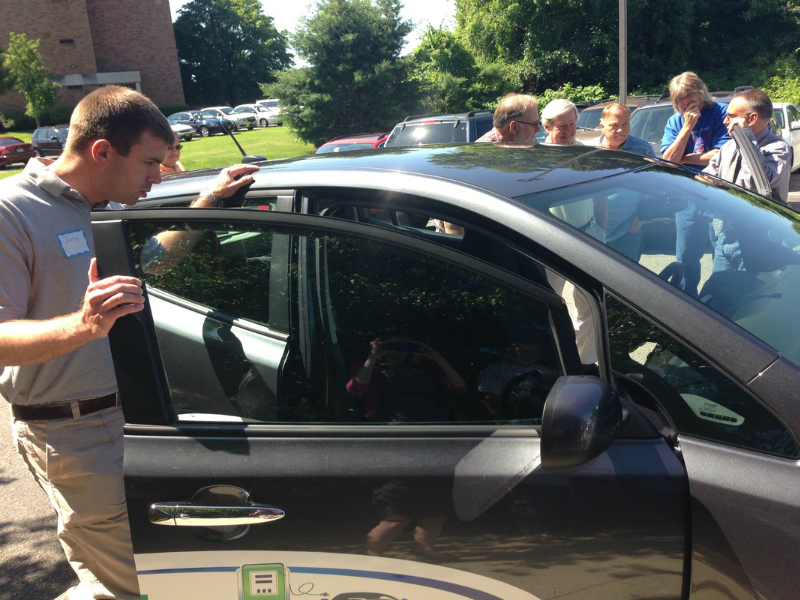 Attendees had the opportunity to ask questions of the expert panelists in interactive sessions, and gather information on the latest resources for electric vehicle information. 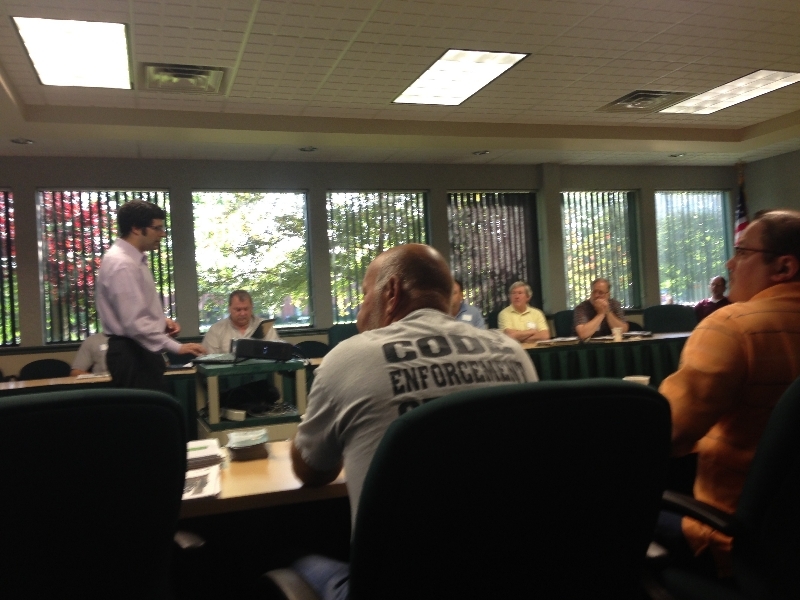 All the presentations and photos from the workshop can be viewed here.